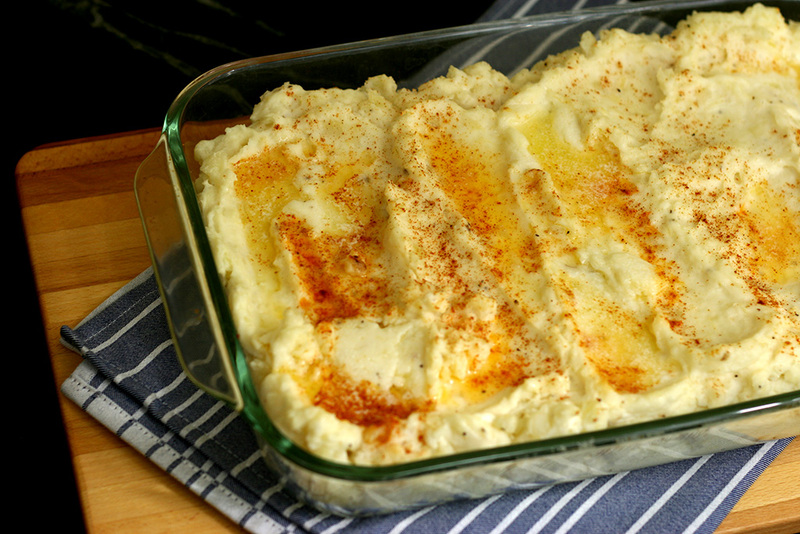 These mashed potatoes are another from Grandma’s recipe book and is a family favorite. It is always at Thanksgiving dinner. They have cream cheese and sour cream to make it super creamy and delicious. I hope you give these potatoes a try. Peel potatoes, chop, and add to a large pot of water. Bring to a boil and cook until tender. Drain and return to the pot. Mash with cream cheese, sour cream, garlic salt, and pepper. Spread into a 9×13 inch casserole dish. Slice butter and place on top. Sprinkle lightly with paprika. This can be made ahead, covered, and refrigerated. Bake at 400°F until hot. It could take up to an hour to reheat.